Gahanna landed the status after city council voted to pursue the program that helps communities recognize the importance of pollinators. Residents can expect to see a variety of initiatives, including the installation and maintenance of three active beehives within the city. Additionally, the city plans to landscape the newly opened roundabouts on Hamilton Road Central to create pollinator habitats. Mayor Tom Kneeland signed a proclamation making Gahanna a pollinator-friendly community last spring. The Bee City USA status reaffirms the city’s commitment to help create pollinator-friendly habitats that ensure the survival of animal species, such as bees, which improve regional food production and stimulate the local economy. Bee City USA is a nonprofit national organization that encourages communities to sustain pollinators by providing them with a healthy habitat, rich in a variety of native plants and free or nearly free of pesticides. Over the past year, the city’s Department of Parks and Recreation has renovated existing flower beds and filled them with perennial pollinator plant species. 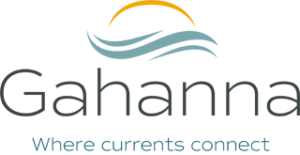 Some of the installations include gardens at McCorkle Park, Creekside Park and Plaza, the Geroux Herb Garden at Gahanna City Hall, Gahanna Swimming Pool and Veterans Memorial Park. 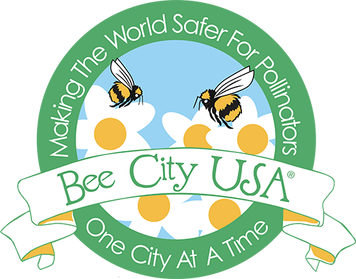 The certification Gahanna received includes a requirement to annually celebrate being a Bee City USA community through public-awareness activities, including a proclamation, signs and web links; with the expectation to annually report activities to Bee City USA to renew the certification. Gahanna plans to annually celebrate National Pollinator Week during the third week of June. More information about Bee City USA can be found at www.beecityusa.org. To learn more about Gahanna’s pollinator initiatives, contact the Ohio Herb Education Center at 614-342-4380.